Why it matters: Just as digital downloads did before it, streaming has permanently altered the trajectory of the music industry in just a few short years. Revenue still isn't near what it was pre-digital but it's slowly making a comeback. The Recording Industry Association of America (RIAA) said in its 2018 mid-year music report that revenue from streaming music accounted for 75 percent of the industry’s total revenue in the US in the first half of 2018. 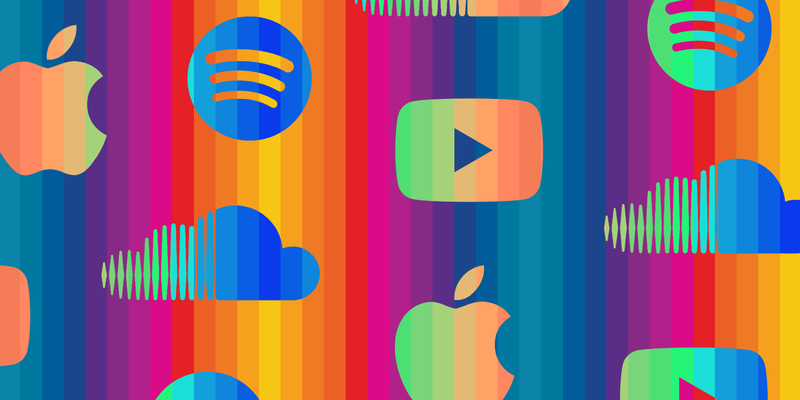 RIAA’s streaming category is a broad one that includes subscription services like Spotify, Apple Music and Tidal as well as digital radio services such as Pandora and SiriusXM plus ad-supported on-demand services like YouTube and Vevo. Of the $3.4 billion generated by streaming services, 75 percent of that – or $2.5 billion – came from paid subscriptions. The number of paid subscribers to on-demand services shot up 48 percent year-over-year to an average of 46.4 million. Despite having far fewer users, RIAA said, subscription streaming vastly outperformed ad-supported revenue. Revenue from digital downloads fell to their lowest level in more than a decade, down 27 percent to $562 million. In total, this category accounted for just 12 percent of total industry revenue in the first half of 2018. Revenue from CD sales fell 41 percent in the half and was more than enough to offset the 13 percent increase in revenue from vinyl sales. Money generated from the sale of physical products accounted for 10 percent of the industry total.